Roberto Calasso, in his essay The Madness That Comes From the Nymphs, relates how the first being Apollo addressed on Earth was a nymph. Her name was Telephassa, and she immediately tricked the god. Nymphs can be both saviors and devastators. They have an unpredictable character; they are powers who act suddenly, capturing and transforming their prey. Each of these invasions signals a metamorphosis. And each metamorphosis represents the acquisition of knowledge: a narrative possession. Uncomfortable Objects belong to this category of creatures: products of desire, research, or imagination, they compel us to follow them, and to look through their eyes, until we are captured in their twisted nets and fall out of language. 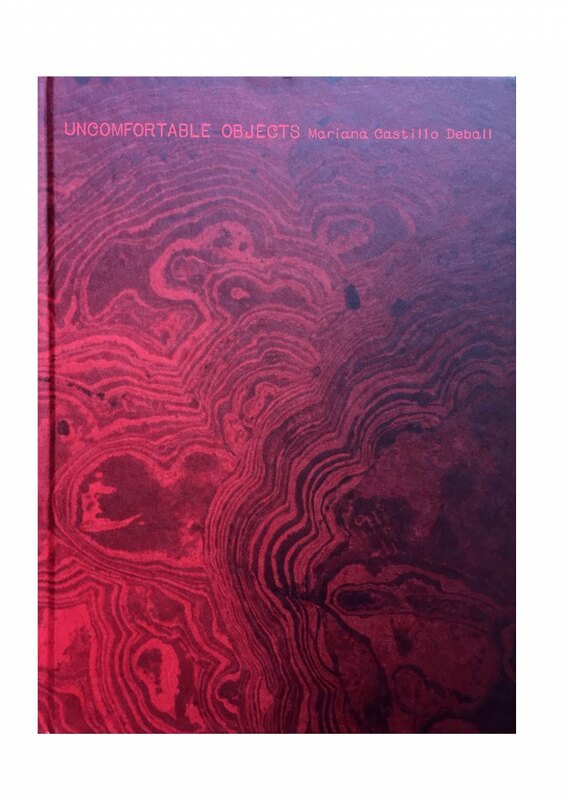 This book is published on the occasion of the exhibition Zurich Art Prize 2012: Mariana Castillo Deball, Museum Haus Konstruktiv, Zurich, September 27 – November 18, 2012.